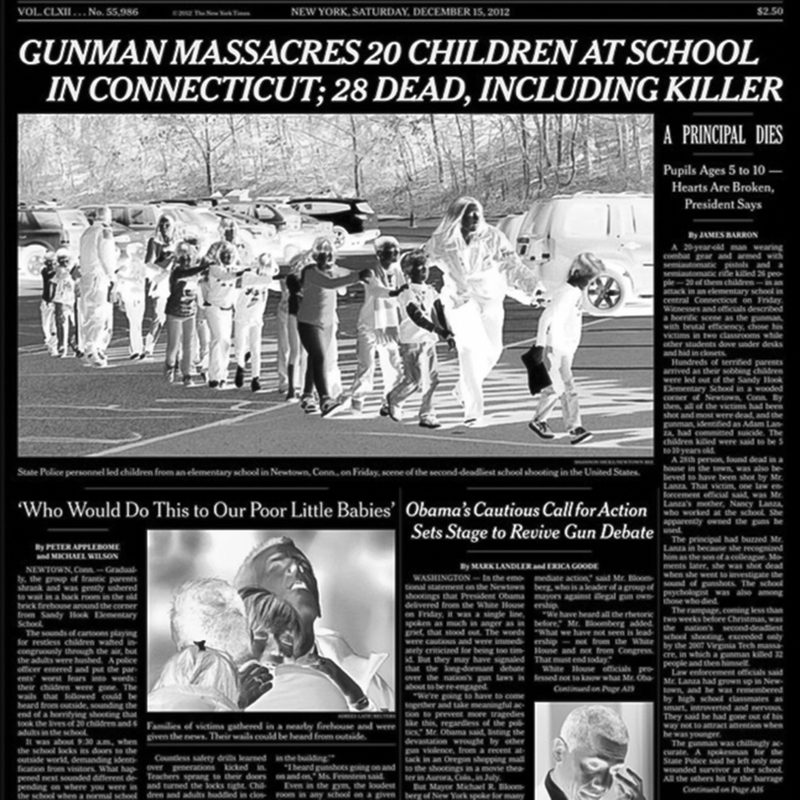 Marysville, Springfield, Columbine, Sandy Hook, Parkland, Santa Fe….part of the horrific list of mass shootings in American schools. 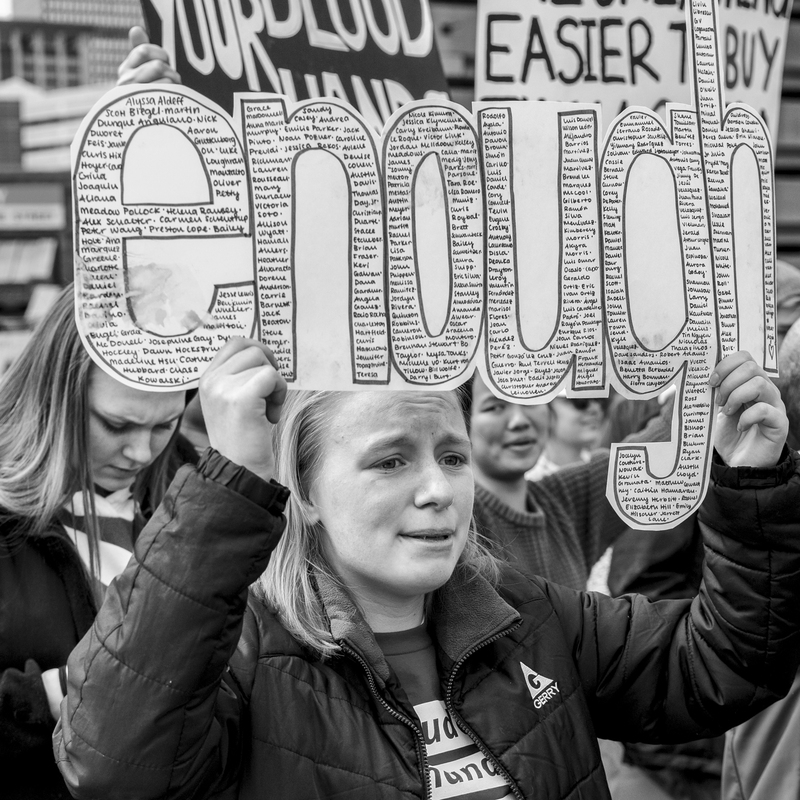 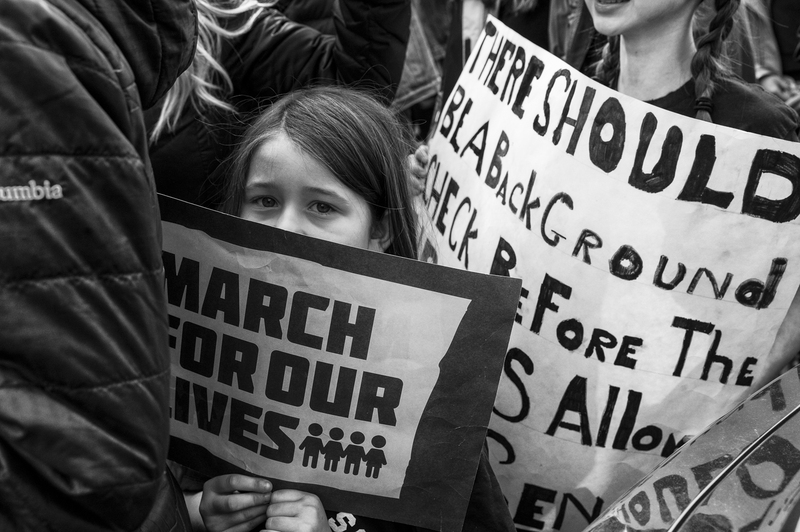 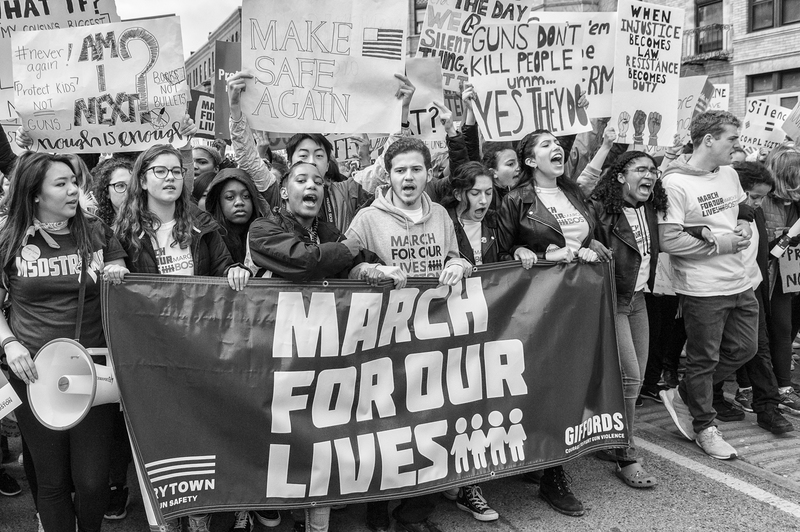 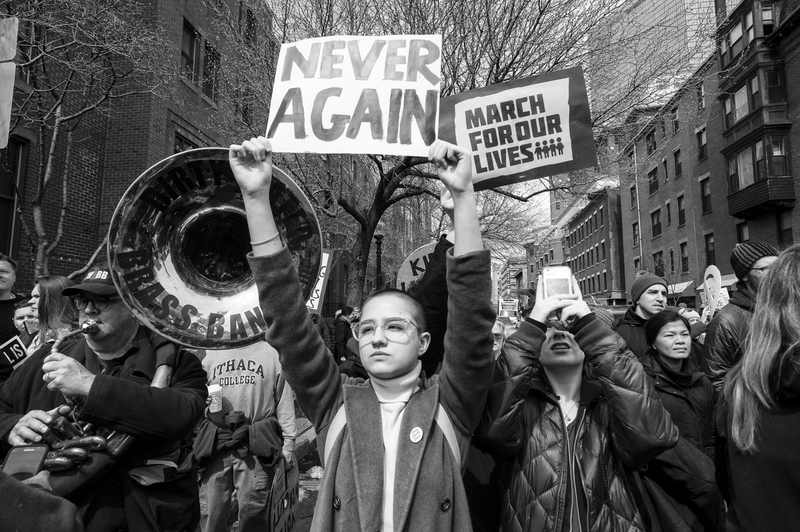 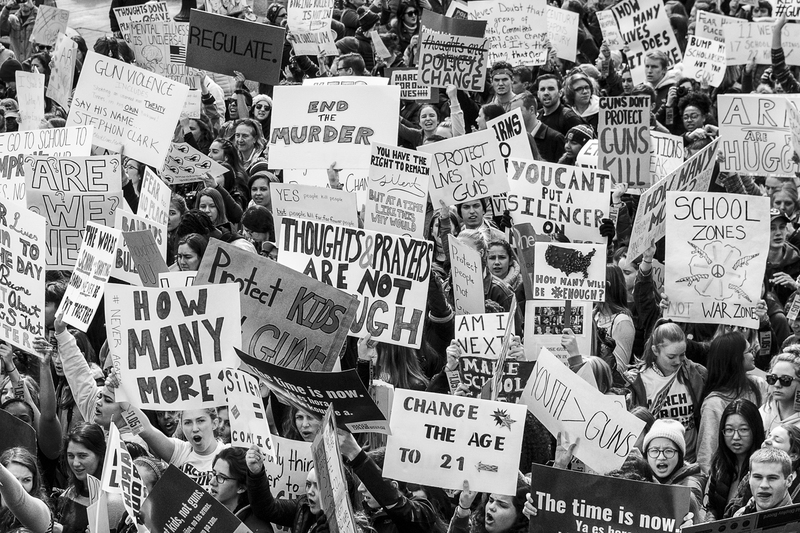 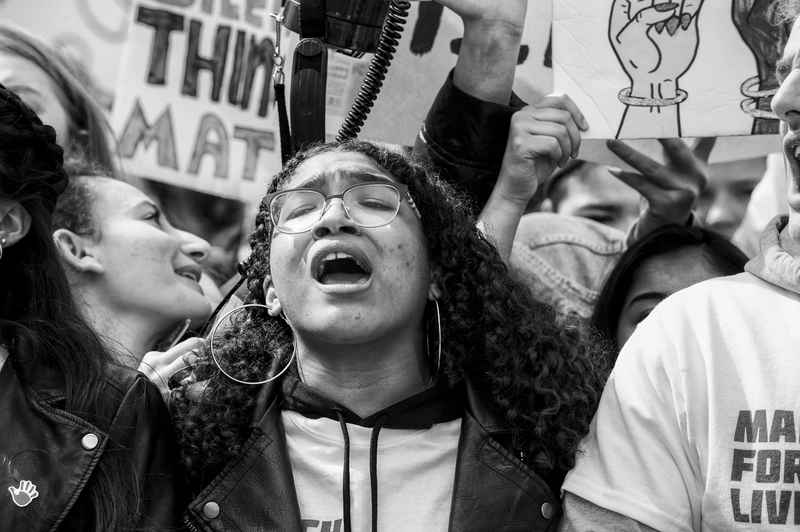 Thousands of young people across the country marched on 24 March 2018 for political action to stem this gun violence. 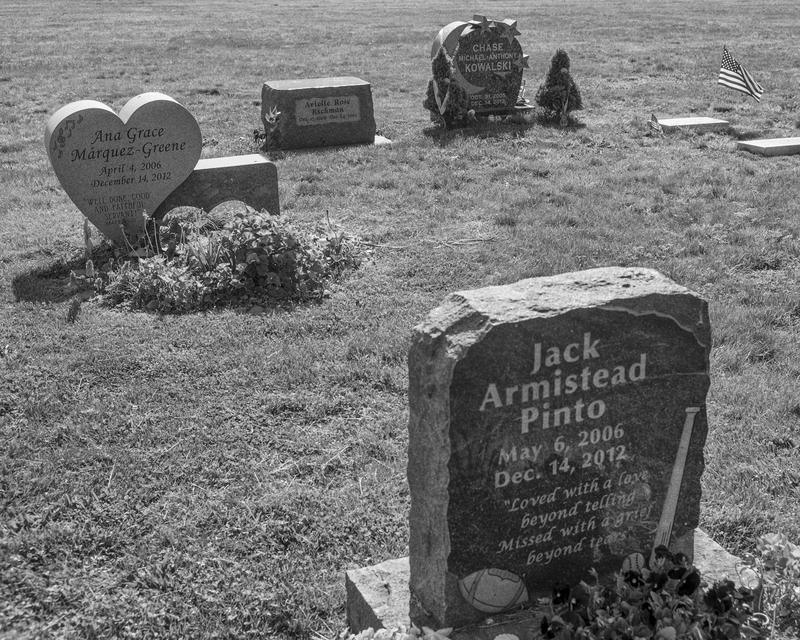 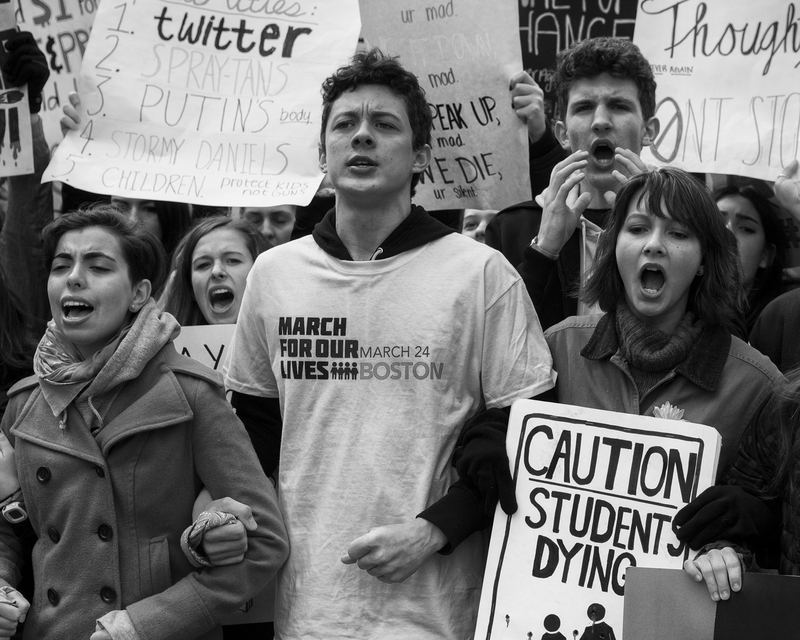 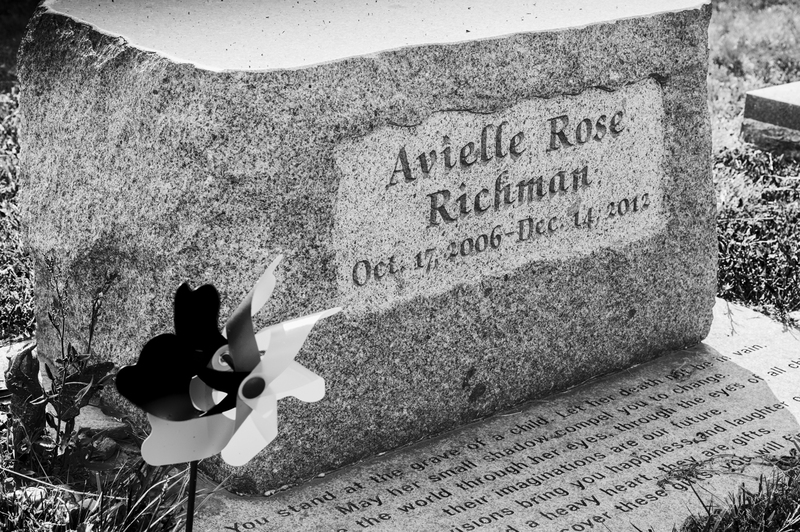 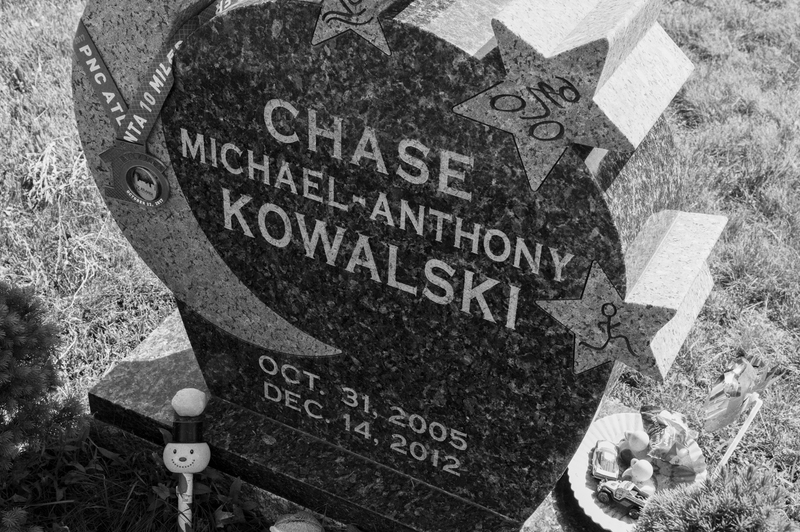 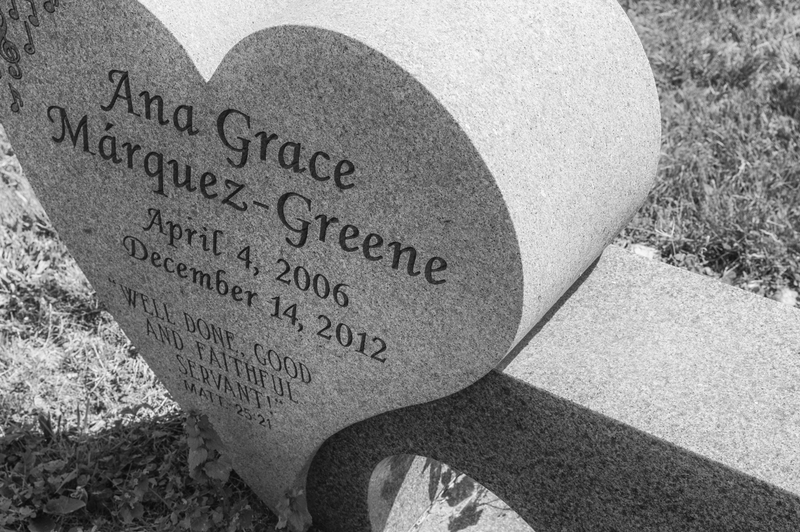 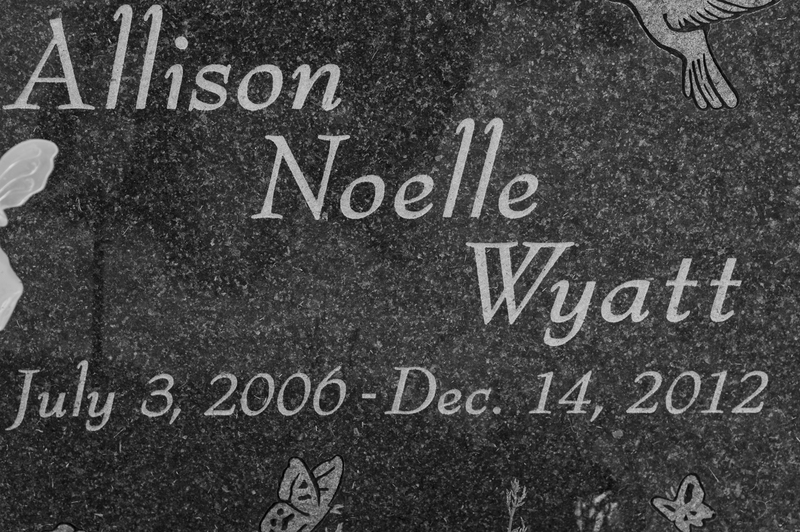 These images document the march in Boston, combined with images of the graves of some of the children who died in the Sandy Hook shooting. 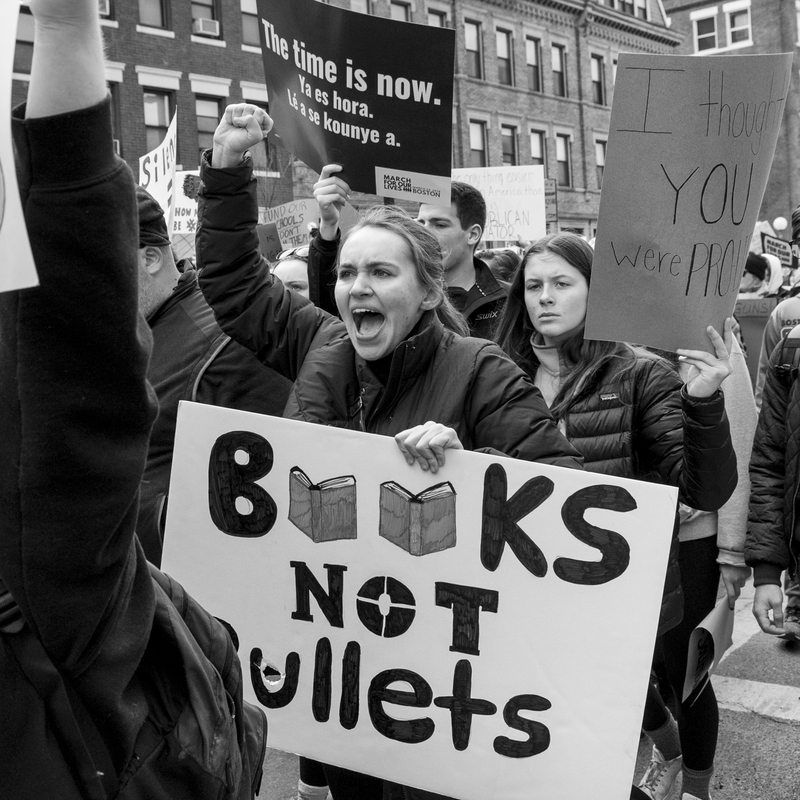 The scenes show both the solidarity of the group and the strength, grief, passion and determination of the individual students. 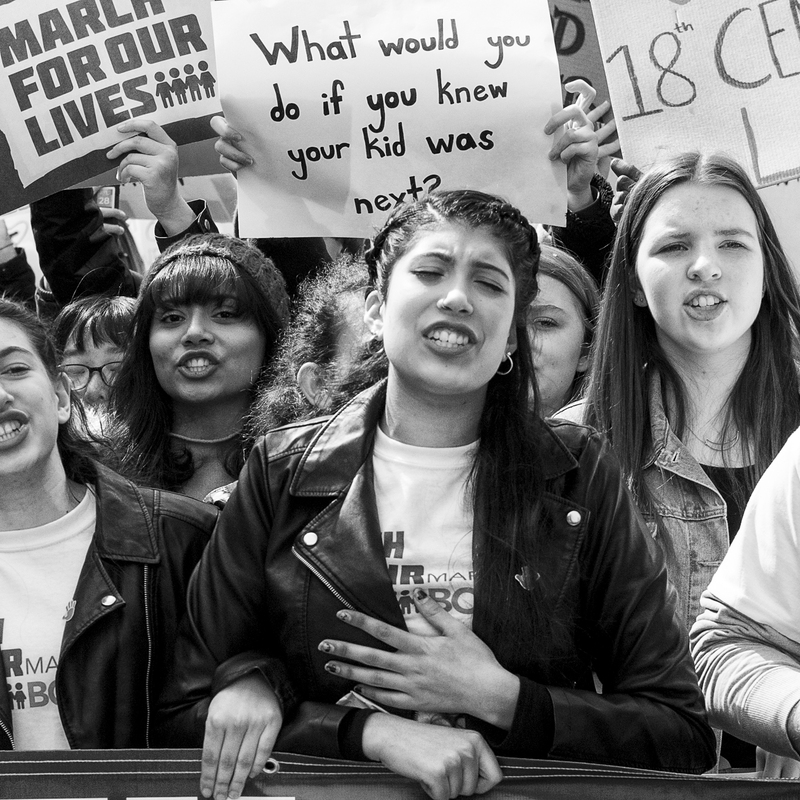 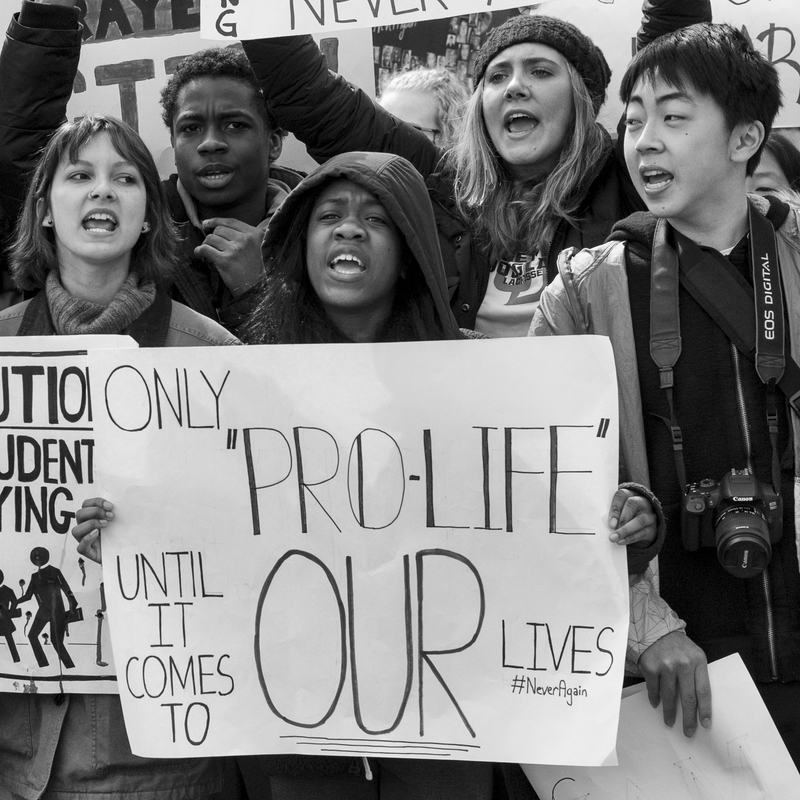 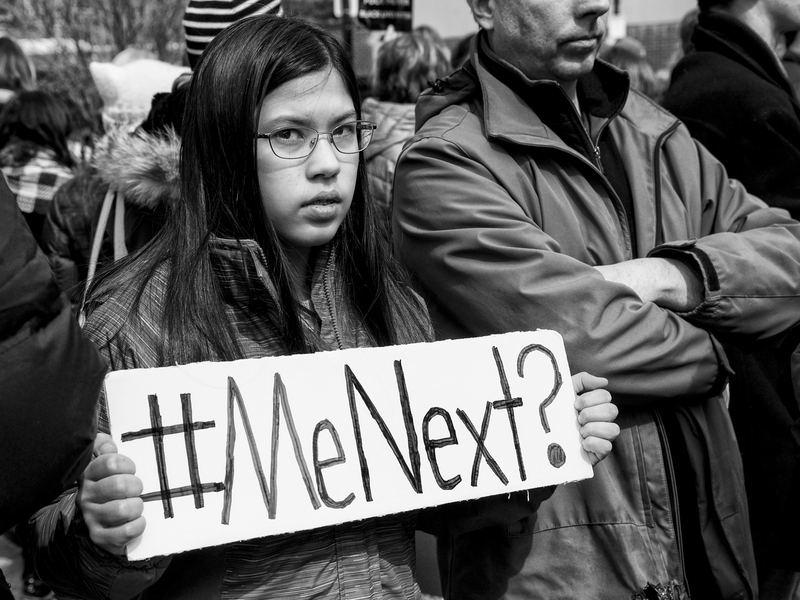 The question my photographs do not answer is whether this activism can produce advocates and voters who will effect real change and what that changes will ultimately be -- or if their voices will fade away as the news cycle rolls on? 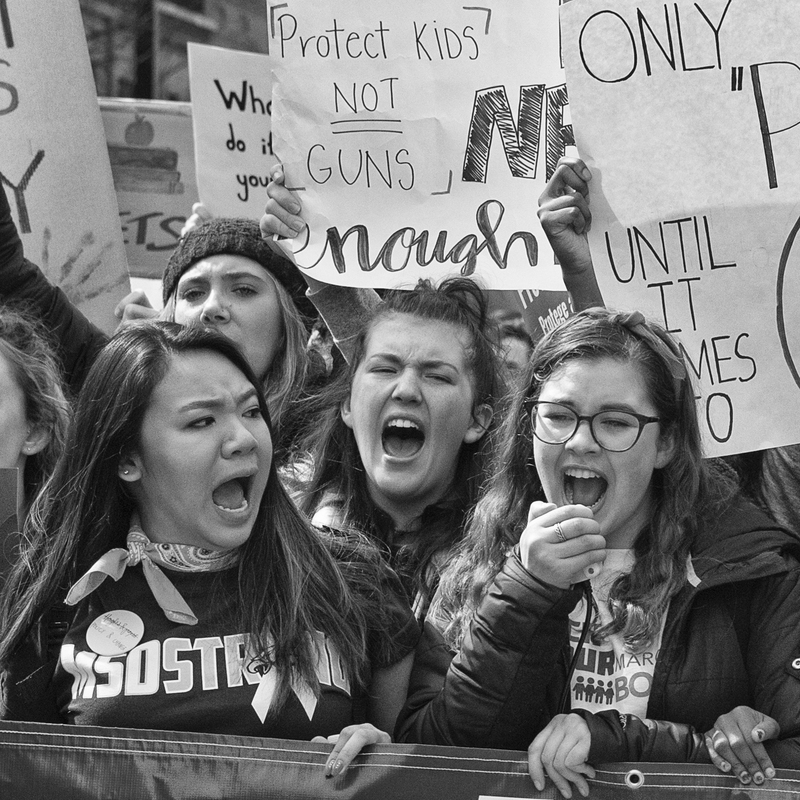 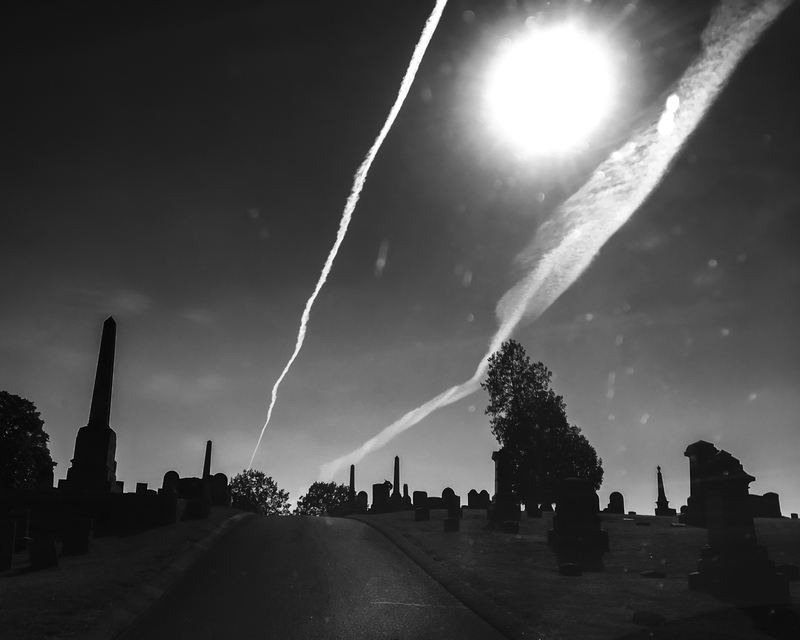 David Whitney is a Boston-based photographer with an interest in street and documentary photography. His work has been exhibited at several museums and galleries, including the Danforth Museum, The Griffin Museum of Photography, the Garner Center at the New England School of Photography and the Bromfield Gallery.